Our blog ‘Brexit, Regulation and Society’ blog series, in conjunction with ManReg, continues with City, University of London’s Professor David Collins. Here, Professor Collins reflects on Britain’s existing Bilateral Investment Treaties, and their role as a potential basis for our post-Brexit trading future. Once the UK leaves the EU it will be able to re-establish its international investment policy framework, having transferred this power to the EU Commission under the Lisbon Treaty in 2009. The UK’s ability to attract foreign investment and to send foreign investment overseas is a vital aspect of its economy. Although there is limited evidence that international treaties actually enhance investment flows, the UK should be proactive in establishing a legal regime for international investment which is as open as possible while serving the interests of society at home and in other countries. The UK has 97 Bilateral Investment Treaties (BITs) currently in force, the first having been signed with Egypt in 1975. These treaties provide protection to international investors who set up commercial operations in foreign states and are thought to be particularly effective in encouraging these kinds of activities where the risk of governmental interference is most high, as is sometimes the case in the developing world in countries where there is weak rule of law and biased courts. Most of the UK’s BITs were concluded with developing states for precisely this reason – they made it safer for British companies to establish themselves where the host state legal regime is unstable and where expropriations are likely. Going forward the UK will need to consider the types of countries with which it will pursue BIT negotiations and, perhaps more importantly, it will need to decide what the contents of these treaties will be. The UK adopted a Model BIT in 2008 (.pdf), essentially establishing a set of rules under which it would deal with other countries regarding investor protections. Capturing the UK’s decades of foreign investment practice, the Model BIT included guarantees against expropriation for a wide range of commercial activities, had limited parameter for governments to enact regulations in the public interest and provided for enforcement through Investor State Dispute Settlement (ISDS). ISDS is a dispute resolution procedure through which private investors can bring legal claims directly against governments in international arbitration tribunals and secure monetary compensation for harms they have suffered. In recent times this process, and indeed the BITs themselves, has come under heavy criticism, particularly from academics. They argue that ISDS is an affront to national sovereignty because it allows investors to skip over domestic courts by going to straight to international arbitration, which is held in private and tends to be adjudicated by judges with commercial experience who lack the understanding of public interest issues, such as the welfare of citizens and the environment. Modern BITs tend to be somewhat more progressive, tightening the definition of investors so that only businesses with genuine links to the relevant states can take advantage of the protections contained in the treaty. The concept of indirect expropriation, where investors can secure compensation for excessive regulatory interference, has also been pulled back. Recent investment treaties, such as the investment chapter of the EU-Canada free trade agreement (CETA) also provide for the right to regulate, allowing host states to enact a broader range of measures covering issues like health and safety, without fear of lawsuits from investors. Perhaps the most significant change of all is the new Investment Court System, also contained in CETA, which creates a more judicial system for the resolution of disputes compared to conventional ISDS. ICS comprises a roster of judges who have expertise in international law along with an appeal mechanism, lacking in normal ISDS, and which is believed to ensure consistency in decisions. This procedure also features greater transparency and rules on costs aimed at preventing frivolous claims. There is no evidence that the existing ISDS system is suffering from any systemic problems, indeed it has generally achieved balanced outcomes. The transparency of classic ISDS has already been improved and there is a growing body of case law which has contributed to consistency. 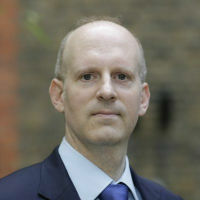 It remains unclear who the judges will be who will be chosen for the ICS courts, however an excessive focus on expertise in public international law could undermine the sector-specific commercial knowledge needed for many investment disputes. Investment arbitration under BITs is meant to achieve pragmatic solutions for the parties, not the creation of some kind of a “system” as public international lawyers might wish. UK firms have done well under classic ISDS, winning roughly half of their cases. The UK has only ever had one BIT claim brought against it in 40+ years of practice. Unlike many other places in the world, the UK is committed to rule of law and has a strong system of judicial review. So it should not expect to face many claims from aggrieved foreign investors. In contrast, the UK’s future investment goals in the developing world suggest that risks of interference by intrusive or unstable governments remain quite real, and a strong future BIT regime should mitigate some of these dangers for British firms in the coming years. Professor David Collins teaches and researches in the field of international economic law specializing in the law of the World Trade Organization and international investment law at City, University of London.